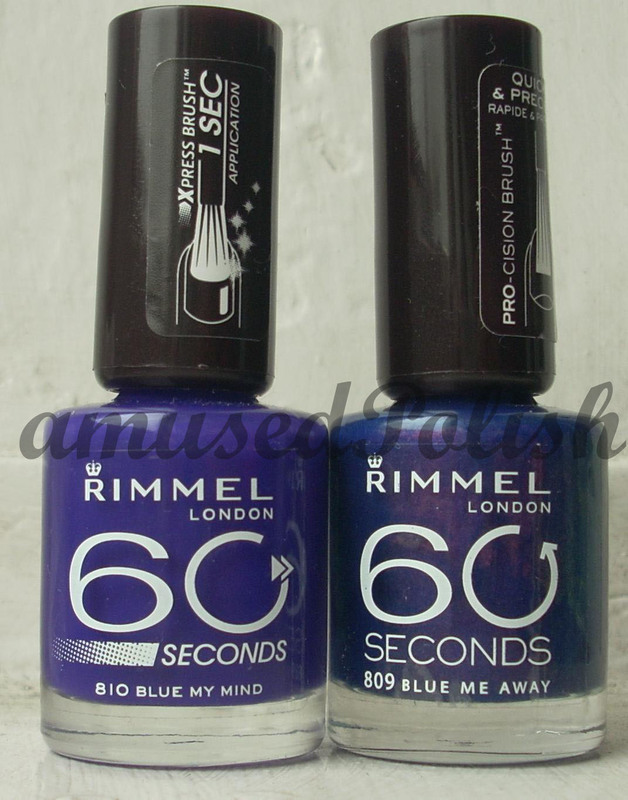 amusedPolish: Rimmel Blue me Away vs. Rimmel Blue my Mind or: Why do companies keep changing their formulas? 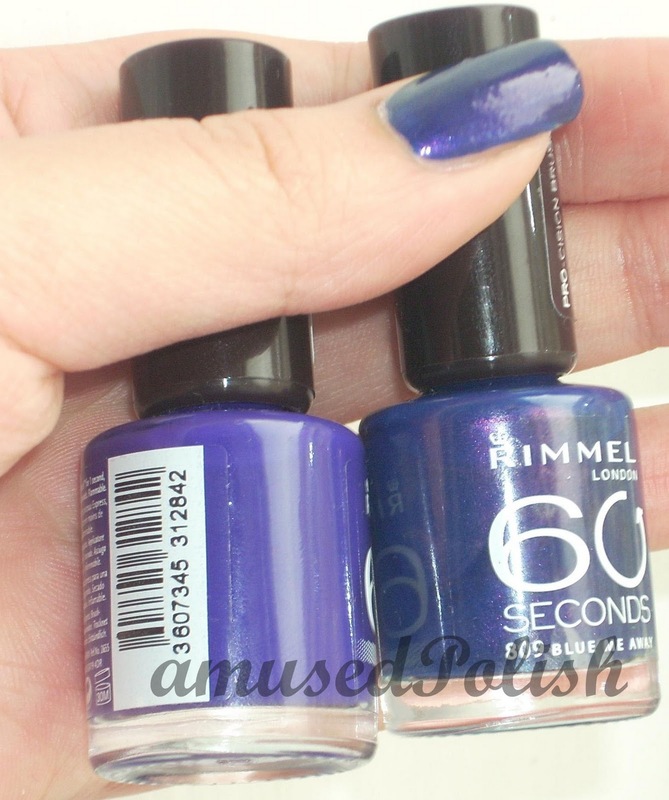 Rimmel Blue me Away vs. Rimmel Blue my Mind or: Why do companies keep changing their formulas? Whew, quite a long topic title ^^. So today's post is a comparison post of a polish from the same company but with different colors, even finishes. There are actually quite a lot of dud-Doppelgängers i.e. with holo polishes (yeah, I'm looking at you, My Private Jet, but also Color Club's Revvvolution or Wild at Heart or Diamond Cosmetics Chainmail Charm- the last one isn't sold at their site anymore because they are working on re-formulating it to get the good version back). 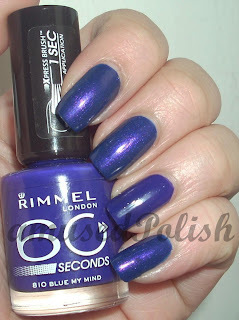 Back to topic: Rimmel sold Blue me Away is a gorgeous medium-toned purple with magenta shimmer. Whereas Blue my Mind (BMM) is a creme purple, leaning more towards blue. BMM has even jelly-like and needed 3 coats to be opaque, whereas BMA only needed 2. My favourite is Blue me away, it has the great shimmer in it whereas Blue my Mind is just a more ordinary purple creme. The shimmer in BMA is quite distintive,I've only paiunted Blue my Mind on my ring finger.